Cedar Creek Crossing Resort is a relaxed cabin rental community minutes from Sevierville and Pigeon Forge attractions. Love to ride horses, Waldens Creek Riding Stables is just down the road a little bit. Guest visiting the Tennessee Smoky Mountains may enjoy the short scenic ride from Cedar Creek into two of the most photographed landmarks; beautiful Wears Valley and Cades Cove. We also offer several nearby cabins in Pigeon Forge next to attractions and many with fantastic views of the Smoky Mountains. Thank you for visiting our site. To help you in planning your Tennessee vacation, please visit our Smoky Mountains Area Information. 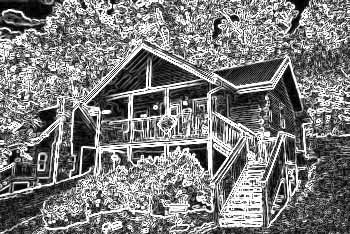 Book your Sevierville cabin rental online with Cabins USA and get an immediate Online Cabin Discount!